Do Emperors Dream of Electronic Nightingales? Originally Posted on Speculating Canada, here is my review of Michelle Sagara West’s “The Nightingale”. A review of Michelle West’s ‘The Nightingale’ in Once Upon a Galaxy Edited by Wil McCarthy, Martin H. Greenberg, and John Helfers (Daw, 2002). Michelle Sagara West (here writing as Michelle West) takes Hans Christian Andersen’s “The Nightingale” from once upon a time into the (un)Happily Ever After, transforming myth into science fiction. Andersen’s tale is one of nature versus artificiality, pitting the natural songs of a living nightingale against the regularity of a clockwork nightingale. Both are able to produce music, but the variety and passion of the biological Nightingale surpasses that of the artificial. As a person with disabilities and someone who loves fairy tales, I was excited to see Marissa Meyer’s exploration of the Cinderella through the lens of prostheses. For some time, I had thought that the Cinderella narrative’s focus on the foot made it an exciting possibility for examining ideas of mobility. 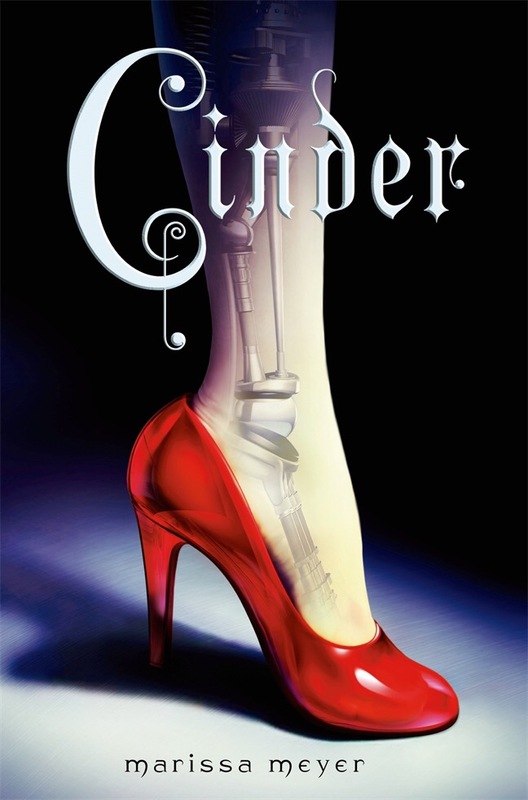 Meyer’s Cinder has more than a leg prosthesis though – she is a cyborg in this futuristic fairy tale. Cinder lives in a world where cyborgs have been treated as second class citizens, their lives shaped by scientific and medical experimentation. In addition to being the product of medical intervention, their bodies are re-visited by science when they are experimented on to try to find a cure for a disease that has been spreading across Earth. Cinder explores ideas of the stigma that come with disabilities, the social need to conform to an able-bodied norm, and the process of passing as able-bodied. Cinder is a woman who seeks belonging in a world where cyborgs are consistently reminder of their outsider status. The only belonging she is able to achieve early on is to be considered the belonging of other people – property. Like many people with disabilities, Cinder lives in a perpetual state of poverty, her livelihood based on the need to always be the best in her field in order to be able to attract customers. Being part machine, she is attracted to mechanical work and becomes a highly-sought-after expert in the area of machine repair. Cinder’s stigma is treated as contagious as she fears that being around her nation’s prince will mean that he will be viewed as somehow diminished by associating with a cyborg. Her stepmother similarly mirrors this concern about Cinder’s stigma when she worries what others will think of her for having a cyborg daughter. This stigma is made literal when Cinder fears that she may be spreading the disease that has been ravaging her planet. Her stigma is associated with her guilt and the belief of her society that anyone “abnormal” should sacrifice themselves for the “normal” population. Cinder discovers that the medical is political as political decisions are shaped by the need to keep the population safe and free of illness. Immunology and immigration intertwine in this tale of contagion and security. Despite the identities she has created for herself, Cinder lives in a state of perpetual uncertainty about her identity. All of her memories from the first 11 years of her life have been erased and her uncertainty about her selfhood is further increased by her uncertain social situation in a society that generally ostracizes people like her. Her questions about identity are deepened by her awareness that people have begun using fake ID chips to disguise their identity, and no one around her is what s/he seems. In addition to the mechanical story, there is, of course, an element of enchantment to Meyer’s fairy tale. In this future society, the moon has been settled and it has allowed an offshoot of the human population to develop the ability to control the minds of others, to portray a glamour of beauty that is powerful enough to control others. The enchantment of this tale is tale is one of deception and control, allowing a powerful Lunar queen to rule her people by using her glamour to take away power from others. There are hints of a Snow White tale in this use of glamour since the Lunar Queen can’t bear to see mirrors since a mirror will rob her of her glamour by showing her the reality of her appearance. Reality and lies mix and mingle in Cinder’s experience since she, like a mirror, has an ability to reflect the truth and she is able to see an orange light when people lie. With an android fairy godmother, a prosthetic slipper, and a pumpkin of a car for a carriage, Meyer imagines a fairy tale that combines fantasy and science fiction, projecting tales onto the future instead of making them Once Upon A Time.